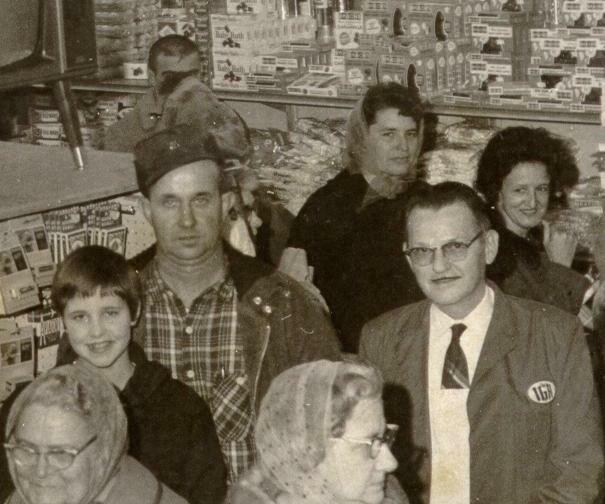 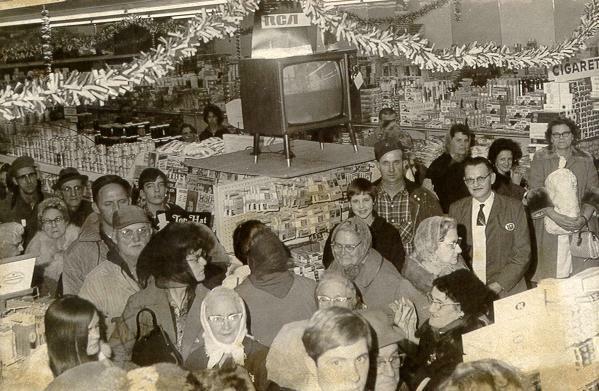 This is an early photo of Poindexter's IGA Store in Leroy Illinois.The store opened in December 1959.Note the RCA TV prize.The man with the IGA patch on his jacket is Mr.Prier Poindexter(store owner).I recall that he was a very nice and friendly man.He was also known to be a civic minded person,and he had that neat train(I got to ride in it in a parade once in the late 1960s). . .